Ban this pls! From first day, this is cheat! how does he know where u reappear? Is it really a cheat or is there a tell? his titan is Ion, i dont believe Ion has sonar capability. most likely not cheats, his titan has sonar capability and you can track phase shifted players on the minimap. Serios, you not player Titanfall, this is Cheat! Aim Phase Shift? Looks legit to me. As kill time is reduced he just has to get to hitmarkers (bullet impacts) on you and you are dead. With phase shift there is a slight distortion/effect when you active and leave phase shift. All he had to do was look for those 'effects' (same as you can with CLOAK pilots). I am a Titanfall 1 veteran, and this is just someone who knows what to look for/predicts player movement (something gamers pickup on over time). Jajajajajaj, tTtttttttt, Kkkkkkkk OK man! Apologies, that second video show definite 'snaping' and some 'tracing'. 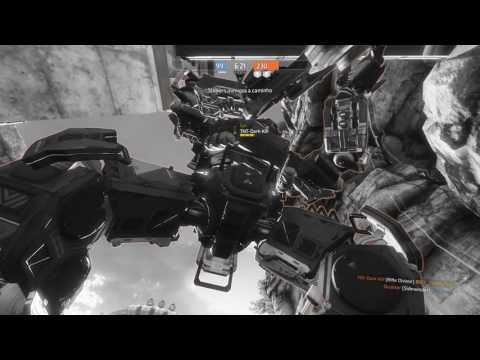 So yes unfortunately it appears that Titanfall 2 is already prone to hackers. I just hope they can be countered/banned.